There are multiple ways we can enjoy the summer which still stretches ahead of us here in the Region of Valencia. Today let´s remind ourselves of some of the most beautiful and refreshing natural swimming pools that the region has to offer. In summer, the schools from the Spanish Federation of Schools of Spanish as a Foreign Language in the Region of Valencia are working flat out with the constant arrival of new students. During these months Taronja School extends its ever-lively agenda of extracurricular activities to both the beach and beyond the city limits, so that it almost feels like we are on holiday. But the classes continue, accompanied this week by an excursion to the Cove of Moraig on Sunday and a Hawaiian beach party on Friday. A much better way to learn Spanish, wouldn´t you agree? Although we have already spoken on previous occasions about options for summer activities that are not beach-based, today we are returning to this topic as the wealth of the landscape in the northern Region of Valencia is not just limited to beaches, and it is worth taking the time to discover the rural inland area, full of spectacular retreats and with incredibly refreshing water. 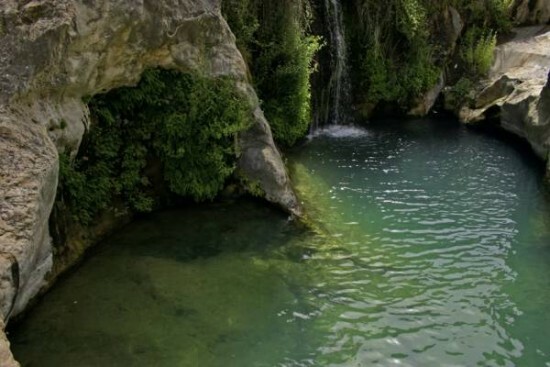 Let us begin with the province of Alicante: Callosa d’en Sarrià is situated very close to Altea and Benidorm along with las Fuentes del Algar, one of the most important natural swimming pools in the country. During summertime a number of tourists flock there, and a range of services is available – toilets, shop, etc. – and although this is not the case in the rest of the region, this does not take away any of its charm. The River Algar – which means cave in Arabic – offers an enclave of waterfalls and impressive, crystal-clear waters. Since 2002 the location has been a Protected Wetland Area. Slightly further north, in Ontinyent the source of the Clariano River is found in Els Pous Clars (the “clear pools” in Valencian), a spot filled with vegetation and clear, incredibly fresh waters all year round, tinted a peculiar colour due to the limestone rocks. The area is home to six pools, although there are three which are more accessible, and there is also a recreational area where you can complete your experience with a picnic. Additionally, in the province of Valencia in the region of Bolbaite there is a beautiful spot found at the Sellent River crossing. Where the river divides in two there is a natural lake formation which is perfect for bathing. 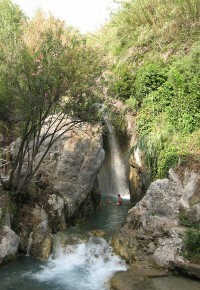 In the province of Castellón we like to stop off in Montanejos, an inland location in which La Fuente de los Baños is situated, an extensive area of natural pools which emerge from the Mijares River on its path through these high mountains. This is an ideal area to enjoy bathing all year round as the temperature remains stable at 25° thanks to the thermal waters originating there. This is also an essential stop off point for lovers of gorge climbing. Our final stop is slightly further south in Navajas where we have El Salto del Brazal (or de la Novia, as it is more popularly known), an enormous waterfall more than 30 metres high which forms part of the Palancia River. Here you can practice hiking and also get to know the surrounding area of Mount Rascaña and the Cueva del Reloj. 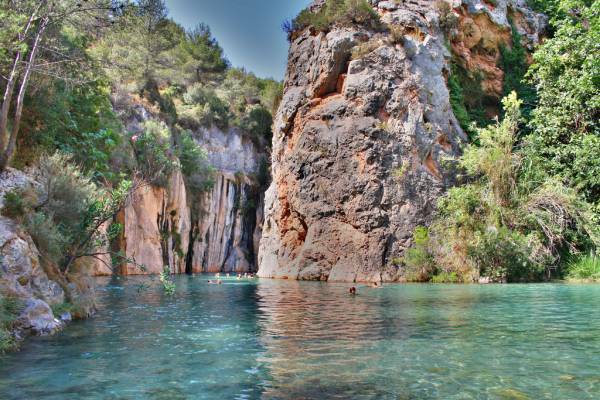 This is one of the most beautiful natural pools in the Region of Valencia. Now it´s time to go out and discover them for yourselves!